About us | Woxford Brewing Co.
Woxford Brewing Co Head brewer, Ryan Harper, brewing on a Blichmann Top Tier brewstand. 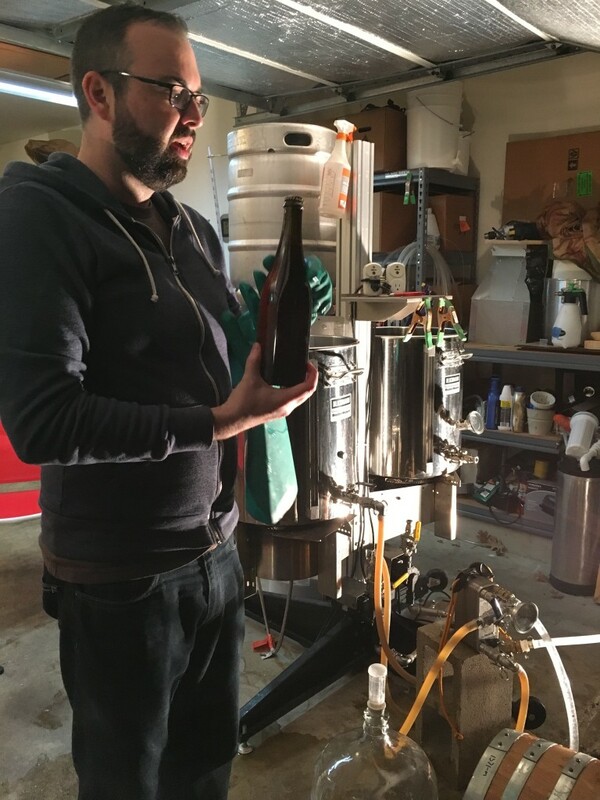 Woxford Brewing Co. is represented by Ryan Harper, a homebrewer in Pflugerville, Texas since the summer of 2010. I caught the homebrew bug from my brother-in-law who had just started brewing himself and the deal was sealed with a great Craigslist score with tons of equipment for a great price. I’ve brewed nearly 100 beers as of this writing and I’m constantly learning something new each batch, be that techniques, new recipes, or something about my equipment or process. When I’m not being consumed by homebrew, or drinking craft beer, I’m helping raise my two boys, James and Rhys, with my beautiful wife of many years, Catherine. With what time is left, I work as an Open Source Software Engineer at Canonical. I personally think the recirculation loop still has a fatal flaw w.r.t the auto-sparge (if it shuts off, then there’s no way to check the temperature in the bottom) which could really ruin a brewday.